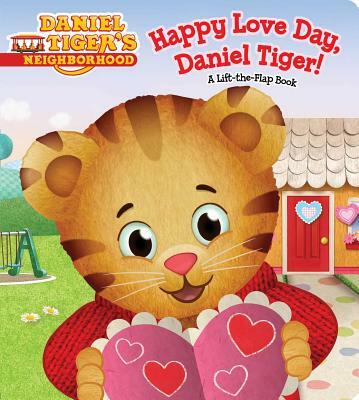 It’s a very special Love Day with all your friends from Daniel Tiger’s Neighborhood in this sweet board book with flaps! It’s Love Day in the Neighborhood of Make-Believe. Daniel and his family find all kinds of ways to say “I love you” and show that they care. Daniel makes paper hearts for everyone he loves and Mom Tiger makes a heart-shaped pizza for everyone to share! This board book features red foil on the cover and flaps on each spread. Lift the flaps to see how Daniel and his family and friends show their love!